The Paonia Fashion Show is back! This time the Elements are rising to the occasion. 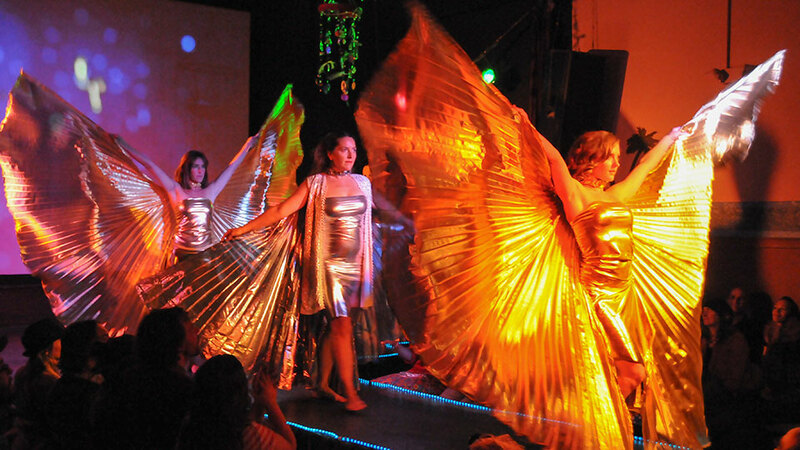 More than just a fashion show, this year The Unicorn Arts Collective is bringing a multi-media arts experience to the Paradise Theater. Originally conceived as The District 81428 Fashion Show, created by Regna Jones, it was a staple of the community for many years. When the Paradise was sold the fashion show lay dormant and was greatly missed. In 2014 the Unicorn Arts Collective was co-founded by Chelsea Bookout and Sharon Bailey to resurrect and recreate the production. Working tirelessly, the members of the Collective have been hand crafting the endeavor of reviving a beloved community experience. “I am constantly blown away by the level of talent in the valley and the beautiful collaboration happening with this years’ show. There is outstanding leadership coming from the production team and I appreciate their invitation to offer feedback about choreography, costumes and sets” states Paradise Executive Director, model, dancer and fashion designer Amy DeLuca. So many of the North Fork Valley community members have their hands in the creation of this show making it a partnership of heart and art. “The Fashion Show is one of the most amazing artistic collaborations in the North Fork Valley! A culmination of fashion, dance, music, sculpture and visual art, this show is an expression of Spirit having a divinely human experience. It’s an incredible honor to be a part of this collaboration” says dancer, model and Director of Movement Carolyn Yates. 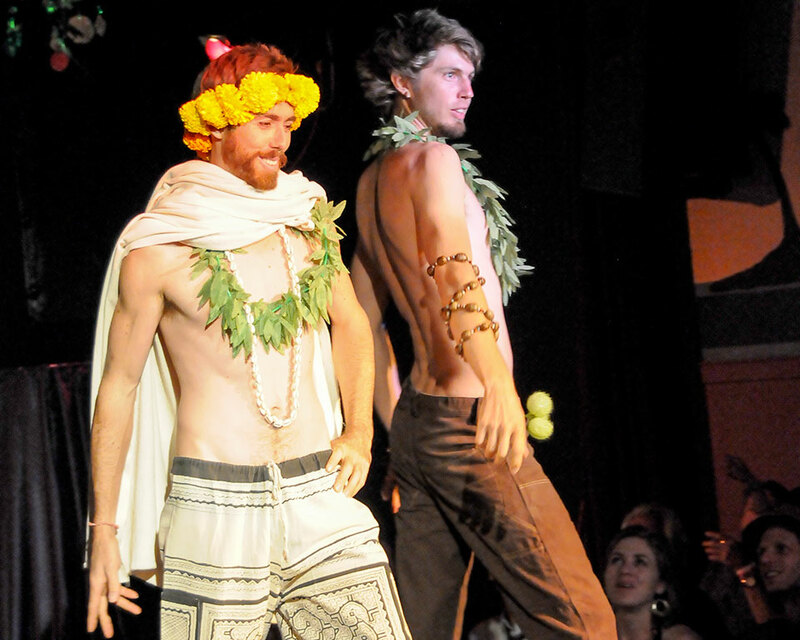 The Fashion Show is designed to display the innumerable talents of the residents of the North Fork Valley. This year’s show, Elemental Rising, will feature eleven local and regional designers. Both seasoned runway experts and budding new designers take their element inspired creations to the runway. Each designer has chosen one or more of the seven elements; earth, air, fire, water, metal, wood or ether to inspire their lines. This motley group of talented designers features a myriad of exquisite hand crafted designs including lingerie inspired chainmail, savage leather and prolific headdresses. Many of the designers will offer their lines for purchase at the Eccentric Artist Gallery during the weekend of the show. Sprinkled throughout the production are various dance performances choreographed by Carolyn Yates with the assistance of Brooke Warren and Elizabeth Woods-Darby. Featuring a cast of over 25 local community members, the performances are a spectacular feat of showmanship and exemplify many forms of dance from modern to blues. Local artists will present large scale art installations made of earthen and fibrous materials throughout the theater. All promotional materials are created by Theoni Designs and will be for sale at the show. The VIP tickets include a special performance before the show including Rose Holmes, a local vocalist, model and dancer. 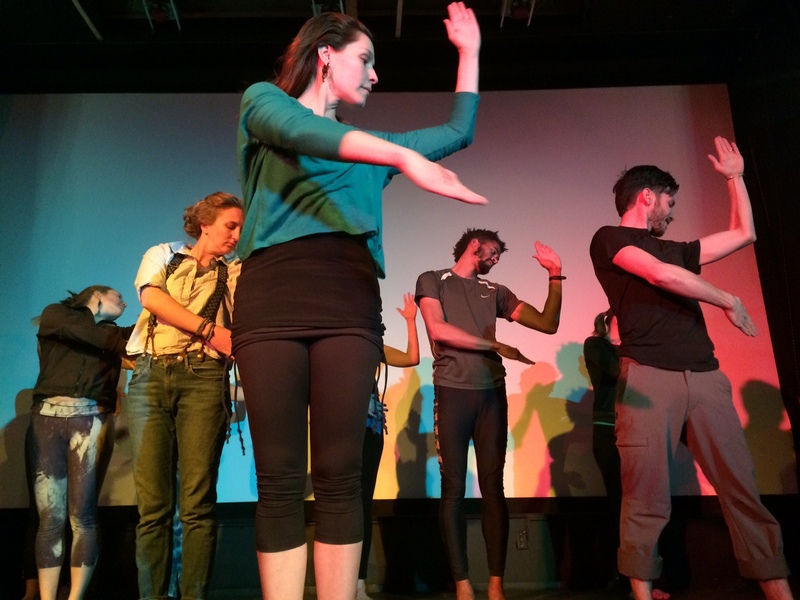 Also performing is the remarkable David Alderdice who is co-founder of The Embodying Rhythm School of Percussive Arts. Tickets for the event are $25 for general admission and $50 for VIP and are available for purchase starting March 13th at Backcountry Bistro, The Paradise Theater and on line at Brown Paper Tickets.